My life married to a Japanese woman. Ok so you might be thinking to yourself right now. 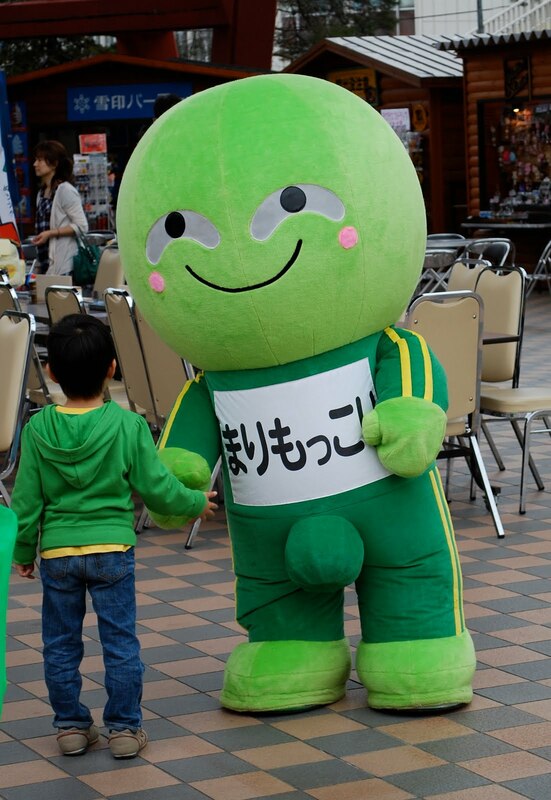 What is this green character and why is there some type of huge ball thing where his package should be? Better yet, why is he reaching out to a child and trying to touch his hand? I can tell you right now, something like this in America would never fly. There would be protesting and riots in the streets if this were going on. Again however, this is the kind of thing the American mentality would never fully embrace or understand. Which, I understand. My first reaction was one of shock for the reason alone that Americans have been taught certain things about sexuality that traverses through our adults years as being “bad” or not “normal”. I am not saying there isn’t problems in Japan with sexuality or behaviors but from what have experienced, it’s just not the same. There is a lot of sexual connotations in Japanese culture which I have yet to fully understand though it seems a lot of it comes from the Edo period as well as other cultural values and ideas. Though don’t quote me on that. Copyright © 2019 My Japanese Wife All Rights Reserved.